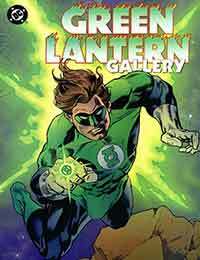 Green Lantern Gallery Average 0.00/5 - out of 0 total votes. A 3-D Graphic Novel by John Byrne. The Caped Crusader leaped off the pages in all his red and blue glory in this over-sized 80 page special crafted by 3-D expert Ray Zone. Not only did this graphic novel feature an all-new tale written and illustrated by John Byrne, but it also reprinted the classic story, "The Robot Robbers" by Sheldon Moldoff and Curt Swan from the 1953 tome, Batman: Adventures in amazing 3-D Action, which featured 3-D effects by Jack Adler. Boasting a large cast of villains including the Penguin, the Riddler, Two-Face and teh Joker, the issue also featured eye-popping pin-ups by such luminaries as Mike Mignola, George Perez, Alex Toth, Barry Windsor -Smith and Art Adams, and a pair of punch-out bat-shaped 3-D glasses.